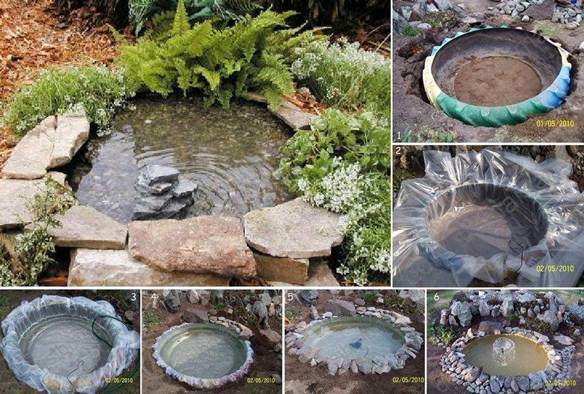 There are many creative ways to recycle old tires and give them new uses, such as making a plant pot and building a mini pond in our garden. Recently I featured a DIY project to make a rope ottoman from an old tire and it was very popular. It’s really amazing that we can recycle old tires and turn them into practical furniture. 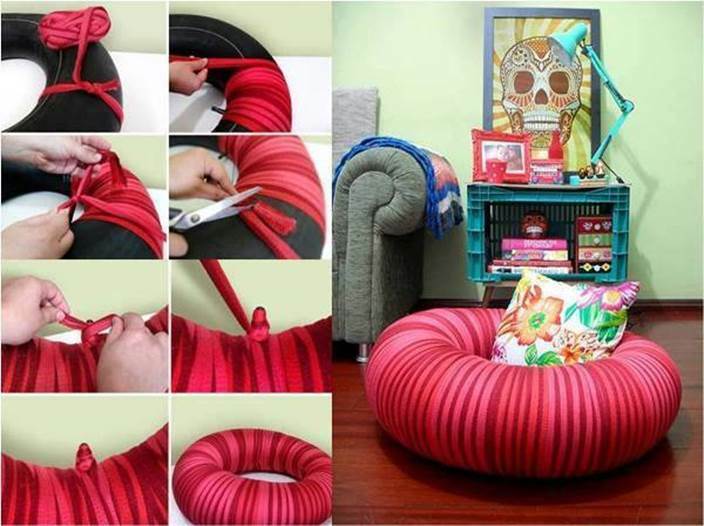 I came across another similar project to make a pouf chair from an old tire. 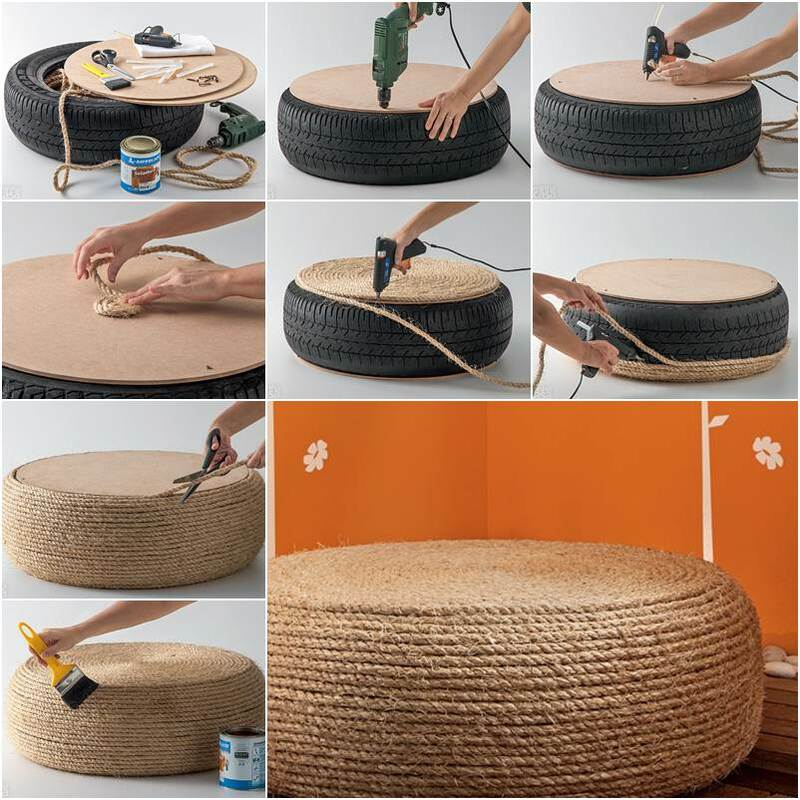 Instead of putting a cardboard on the tire to make a seat, it takes advantage of the air chamber of the tire to add extra comfort to the pouf chair. It feels like floating on the river and relaxing. 🙂 It makes a unique piece of furniture in your living room. Next time if you are replacing your old tires, be sure to save them for this wonderful project. Enjoy! You may also like the following old tire repurposing projects.